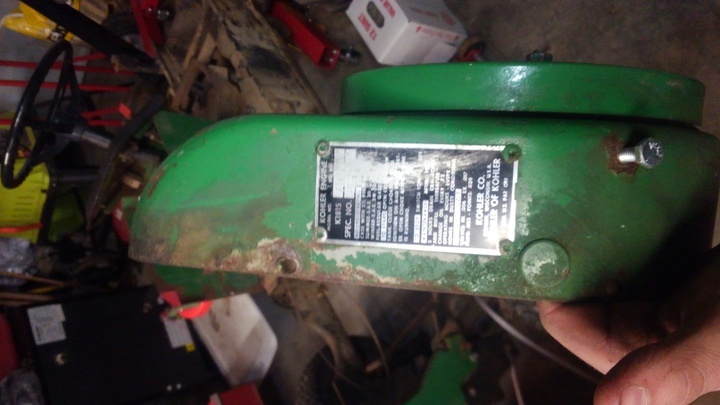 In the attached photo of the flywheel cover I show the engine data plate off my Deere 110. I hope to sandblast this part this weekend and I had a concern. Should I try to cover that plate with tape or somethin of the like or drill out the rivets and take it off? I don't wamt to risk damaging it which is why I'm inquiring seein if maybe someone has done this before. Thanks for your time. I would drill the rivets out. Drill out the rivets. That way you have good paint behind the tag, too. 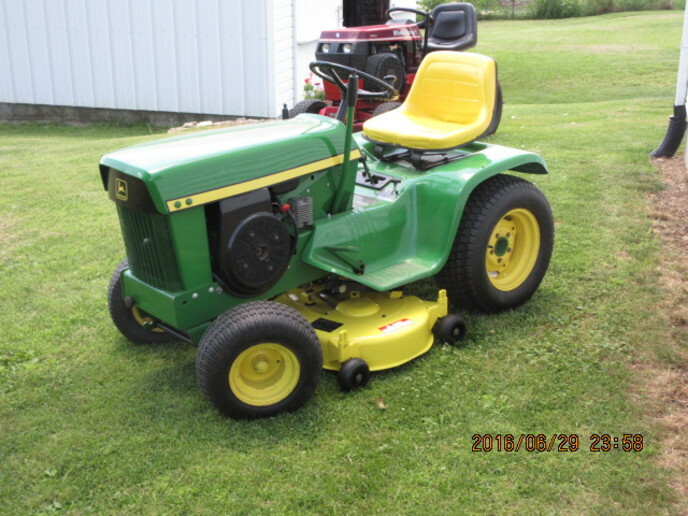 That is what I did on my Cub Cadet. I was told by an old-timer in the sandblast business once that you could mask things off with multiple layers of duct tape. He said one layer wouldn't do it-it gets so thin its hard or impossible to remove it. They might not be rivets, they might pop out with something like a tac puller. I still have an old 110. Thanks for the replies folks I will do the aforementioned task and drill out the rivets. Then I'll just get some new ones, and tot the person that mentioned good paint behind the tag too is a valid point that I overlooked. Much much to learn about all this still even though I'm by trade an ag mechanic. I'm only 22 been working at a place 2yrs and I've learned there's absolutely no replacement for experience and helpful people like you find on here. Thanks again. Very cool I hope to get mine to a decent lookin paint job when I'm all done. I did get it runnin finally though. Thanks for the inspiration! !